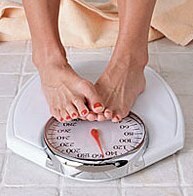 Around the world, millions of overweight people are looking for the key, the secret to healthy, successful weight loss. This is not just the quick loss of weight, but keeping it off as well. Considering the billions of dollars spent every year, the dieting industry is certainly one of the largest and most profitable in the world. However, despite all of this investment, more people than ever are overweight. There are many different approaches, secrets, and methods to losing weight and keeping it off, but they all have one thing in common. There is one key to successful, healthy weight loss that applies to everyone who has made the decision to diet, exercise, lose the weight and keep it off. Nothing in the world can take the place of persistence. The key to successful weight loss is finding a plan that works and sticking to it until you reach your goal. That is not possible unless you are persistent in your efforts to lose the weight. While not every diet and exercise plan will work, it is true that if you give up, then you’ll never lose or keep off the excess weight. Here are the reasons why persistence is the key to successful weight loss. Again, not every diet plan is right for everyone. But it takes recognizing when a diet is not working and switching to another diet plan. Too many people quit when a diet is not working the way it should and they resign themselves to the condition that they are in. The truth of the matter is that if a diet is not working as promised, you find another one and switch. When you are on a successful diet and exercise program, you are losing just a little bit of weight each day. This translates over time to losing a lot of weight overall. You should approach your weight loss goals in the same manner. Focus on losing a little bit of weight each day through your eating and exercise habits. Remember that even the best of us slip up once in a while, but you should not see that as failure or a reason to quit. Instead, it should be viewed as just one small bump in the road. 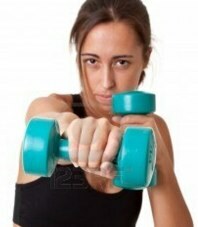 It’s true that many people who fail to keep the weight off do so by gradually falling off their program. It starts with a day of exercise missed here and eating the wrong food there and before you know it the weight is back on your body. You need to keep track of your diet and exercise program and stick to it by mixing things up and keeping it fresh. Boredom is one of the biggest reasons people fail to keep the weight off. So, mix things up and have fun. Instead of walking one day, do some cross training, swimming or other type of exercise instead to keep it fresh. Plus, you can mix up your diet as well by eating different types of food or trying out new recipes. In conclusion, by being persistent in your efforts, you will lose the excess weight and keep it off when following these tips. All it takes is approaching the problem one day at a time so that you can lose the fat and get into great shape.